LemonAid Fund relies on the regular contribution of talented, enthusiastic volunteers. Below are a just a few of many who have volunteered their time with us! If you are interested in volunteering, please feel free to contact us. 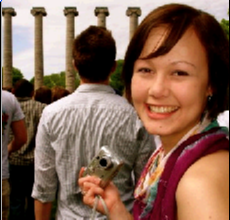 Kelli White graduated from the University of Missouri–Columbia in the spring of 2009 with a degree in magazine journalism and minors in Spanish and art history. Within journalism her interests are writing, publishing and design. As part of the LemonAid Fund team, Kelli assists in writing the Fund’s annual reports, writing and editing grants and putting together promotional and marketing materials. At Mizzou Kelli was taught that a journalist has a specific social role to fulfill as the public’s liaison to happenings across the globe, which gives them an incredible responsibility – each must balance accuracy with intrigue, make people think without telling them what to think, evoke emotion while still remaining objective. 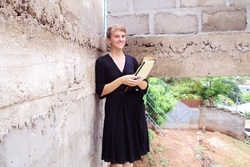 Kelli is thankful to have the opportunity to help raise awareness about the needs of those living in Sierra Leone and to use her journalistic training to make a difference. She looks forward to taking an active and creative approach to her work with the LemonAid Fund. Outside of journalism, Kelli has an enthusiasm for working with the Boy Scouts of America, cheering for the Blackhawks and the meditative nature of yoga. Kelli got married in 2014 to the love of her life. 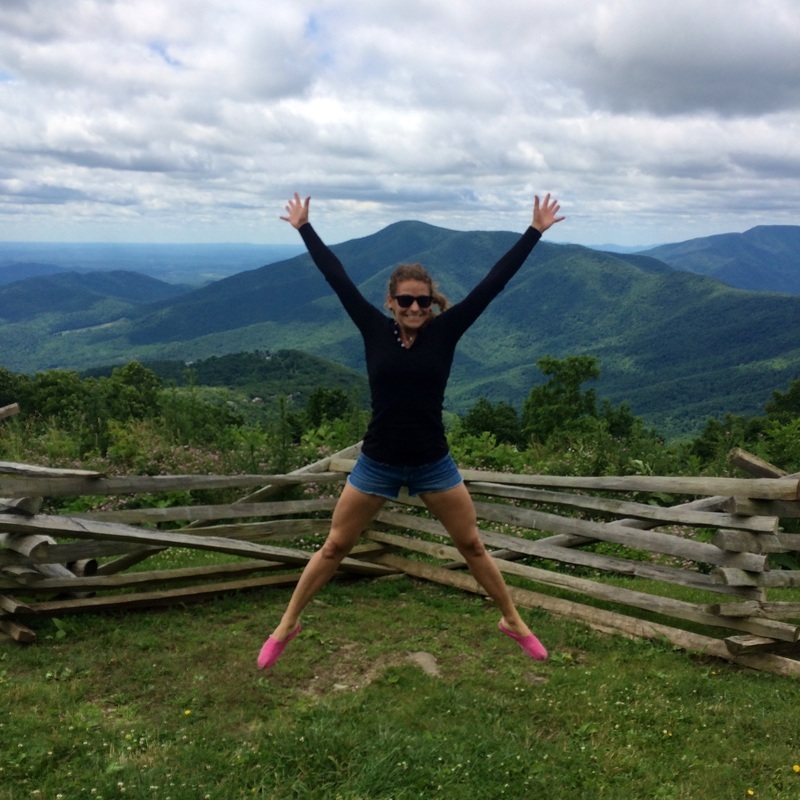 Jaime Andrews is a self-proclaimed health fanatic! Jaime is a certified personal trainer and wellness coach and founded Jaime Andrews Fitness in 2011 with a mission: To get people excited about their health and fitness in a friendly and supportive environment! In 2015, Jaime received her Master's degree in Counseling Psychology from The Chicago School of Professional Psychology and is working toward her licensure with a long term goal of opening a practice which promotes physical and mental health. Jaime got involved with the LemonAid Fund in 2014. Working alongside Dr. Nancy Peddle in India and Bhutan on the Global Forgiveness, Gratitude and Appreciation for Well-Being Project. Jaime was moved by the mission and work of the LemonAid Fund and held a fundraiser to support the Ebola Recovery work. She hopes to further assist LemonAid Fund's efforts to achieve positive and lasting change in the lives of children, families and communities worldwide. Jane (far left) graduated in 2015 with a clinical psychology degree from the University of Rwanda college of Medicine and Health Sciences. She worked as a translator and an assistant when LemonAid Fund was in Rwanda in 2016 engaging in it's Forgiveness, Gratitude and Appreciation Process with genocide survivors of Iriba Shalom. Jane saw that the FGA process really worked for herself "it changed my life" and for others. She is passionate about using her psychology degree to help bring relief to people who are suffering psychologically. She became interested in how she might bring her skills and passion to the LemonAid Fund as a volunteer so she too can turn the lemons of life into lemonade. Her first project will be to work together with those of Iriba Shalom to obtain follow-up data on the sustainability of the FGA outcomes in Rwanda. She is excited to contribute her skills to assist the LemonAid Fund in further sewing the seeds of peace through forgiveness, gratitude and appreciation and helping to repair the hearts of so many people. She is currently based in Butare, Rwanda. My summer 2013 project was initiated after I found a grant provided through the NC State University Fellowship Advising Office which could apply to any independent 10 week+ summer program to increase students competitiveness for scholarships, graduate schools, and other distinguished programs. I immediately wanted to apply this opportunity to the biggest passion in my undergraduate career; my involvement in Engineers Without Borders. When I joined the NCSU chapter of Engineers Without Borders as a freshman I began to work with the Sierra Leone Water Systems Project (SLWP). This project is partnered with the LemonAid Fund and the Dele Preparatory school in Allentown Sierra Leone, which serves ~700 children without access to water or consistent electricity. As soon as I found the grant opportunity I reached out to Dr. Peddle, the founder of the LemonAid fund to determine if I could be of any use in Sierra Leone for the Summer. She quickly approved of the idea, and with the blessings of Francess Browne, the headmistress of the Dele Preparatory school, I began planning. Through my 3 years with the SLWP, striving to design and implement a solution to their water needs, I couldn’t have been more excited by the opportunity to have an entire summer dedicated to the school and the Lemonaid Fund. The summer of 2013 allowed me to serve the organization as an assistant teacher at the Dele Preparatory School as well as the Goshen Community School in Freetown. I will also gathered much needed data for our projects with Engineers Without Borders. This included a great deal of surveying, water testing, site assessment, and structural analysis. But more importantly it served as an opportunity to learn the true needs and desires of the community of Allentown and the Dele Prep school; the paramount goal of every EWB project. 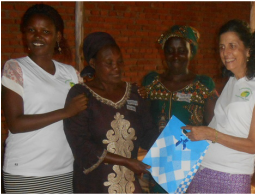 I enjoyed working with the Female Genital Mutiliation mitigation projects supported by the LemonAid fund, as well as their initiatives involving maternal and infant health. For a time Sierra Leone topped the list in maternal and infant mortality rates, but with steady efforts the nation is seeking to combat this. I enjoyed learning about the dynamics of these issues and the valiant efforts to overcome them. Additionally, I received independent study abroad program credit due to my planned Senior thesis on solid waste management practices in developing countries. The Sierra Leone chapter of EWB, under Mohamed Khalil, is currently undertaking a pilot project to initiate composting and alternative waste strategies which I will have the opportunity to take part in this summer. As noted by Ed Witkin, the travel mentor for the Renewable Energy project in our chapter of EWB, “the air is rich with the smell of burning trash.” As such, it served as a perfect opportunity for the development of analysis frameworks for effective waste management and public health initiatives. It all served me well as I graduate and move out to the world of employment. Mikaela Schabarum has degrees in psychology and school psychology from San Diego State University and Radford University. Mikaela completed her Ph.D. in international psychology from The Chicago School of Professional Psychology where her studies focused on organizations and systems. Mikaela has worked on women’s empowerment and child protection issues in Banda Ache, Indonesia with Dr. Nancy Peddle and on talent development of mid-level manufacturing managers in China. Through volunteerism, Mikaela hopes to further LemonAid Fund’s efforts to bring the Global Forgiveness, Gratitude and Appreciation for Well-Being Project across the African continent and specifically to South Africa. Mikaela hopes to continue to work specifically with women and children on empowerment efforts as well as in the areas of protection, education and mental health. Alicia Weatherbee is a Licensed Clinical Social Worker with a Master of Social Work from the University of Kentucky. Alicia has worked with military veterans in the areas of mental health treatment, physical and rehabilitation medicine, inpatient and outpatient health care and Social Work program management. Alicia traveled to Sierra Leone for the first time in November 2017 to assist with an education non-profit organization. This trip inspired her to reach out to other organizations providing psychosocial supports in Sierra Leone which led her to contact with Dr. Nancy Peddle at LemonAid Fund to seek out additional volunteer opportunities. She is currently providing professional social work support and guidance to "Social Workers Sierra Leone", a group of Social Work professionals based in Freetown, Sierra Leone who are connected with LemonAid Fund. She is excited to be working with LemonAid Fund to further support SWSL and assist with future psychosocial support training activities in Sierra Leone. Judith St. Louis, PhD is an Assistant Professor of Psychology and director of the Addiction Studies program at Lewis-Clark State College in Idaho. She earned her PhD in International Psychology at the Chicago School of Professional Psychology with Dr. Nancy Peddle as her chair. Her research interest centers on generational trauma, Aboriginal healing therapies, and community-based development approaches. She has a passion for working with persons affected by addiction, and has served the criminal justice population and the communities' underserved in both, urban and rural settings.